The LEAP Mobile App allows you to communicate with clients and colleagues, record time and access matter documentation, all from the palm of your hand. It is available for iOS and Android. Quickly view client matters and financial information including contact details, correspondence, critical dates and tasks. Pinned correspondence and folder hierarchy, created in your LEAP Conveyancer desktop, is reflected in LEAP Mobile App. 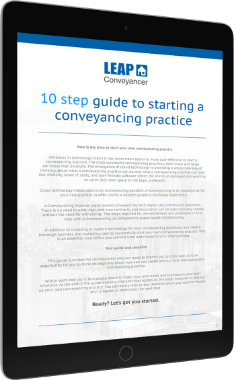 Experience seamless synchronisation with your matters on your LEAP Conveyancer desktop while you work away from the office. Add multiple attachments to your email correspondence and time record your email activity.